There is an integration of telecommunication systems and distributed computing environment, resulting in a single hybrid environment for telecommunication services. The hybrid environment has the ability to control the information flow process at each stage and ensures compliance with high quality standards. Providing the quality of service to end-users of communication networks depends on quality control at all stages of the service provision. Today, due to the dynamically changing service structure provided to end users, constantly changing requirements for service quality indicators, with increasing traffic volumes, there is a growing need for well-scalable communication systems that meet the needs of end-users, gaining special significance to service management systems. 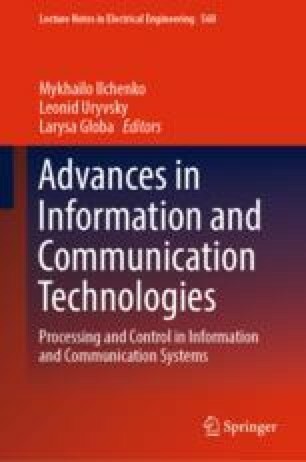 In the article the features of quality control service servicing of flows of the mobile communication network are investigated with the use of partial virtualization of network functions. An architectural solution for organization of service flows in a hybrid environment is proposed, which includes a telecommunication communication network and cloud computing resources that provide maintenance of virtualized functions involved in the organization of service flows. The solution for improvement of the PCRF system as well as a number of procedures that allow ensuring quality control of servicing streams as well as controlling the computing resources of a hybrid system, which work affects the quality of service of the system service flows, is proposed.